Idol is joined by Steve Stevens, an American guitarist and songwriter. Often referred to as "the duke of darkness", he is best known for being Billy Idol's guitarist for many years. 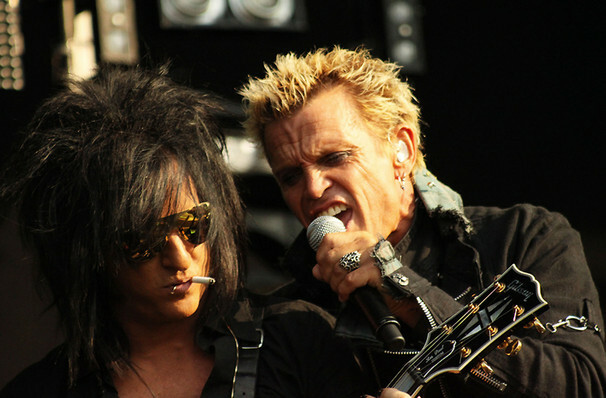 Why See Billy Idol and Steve Stevens? Hitting the road in March, the established rockers will perform some of their most popular fan favourites in between insightful spoken word interludes from Billy Idol. Idol is a critically acclaimed rock star with three Grammy Award nominations under his belt. The star is a platinum-selling and highly influential artist with a string of international sold out tours behind him. Stevens has been destined to be a guitar legend ever since he first picked up the instrument at seven years old. He started his long term collaboration with Idol in the 80s. 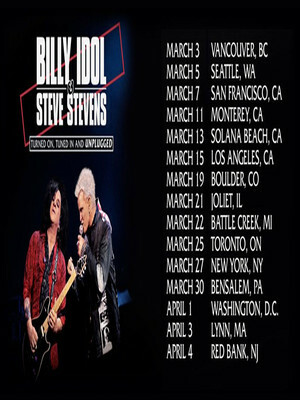 Seen Billy Idol and Steve Stevens? Loved it? Hated it? Sound good to you? Share this page on social media and let your friends know about Billy Idol and Steve Stevens at Lynn Memorial Auditorium. Please note: The term Lynn Memorial Auditorium and/or Billy Idol and Steve Stevens as well as all associated graphics, logos, and/or other trademarks, tradenames or copyrights are the property of the Lynn Memorial Auditorium and/or Billy Idol and Steve Stevens and are used herein for factual descriptive purposes only. We are in no way associated with or authorized by the Lynn Memorial Auditorium and/or Billy Idol and Steve Stevens and neither that entity nor any of its affiliates have licensed or endorsed us to sell tickets, goods and or services in conjunction with their events.